@trvsbrkr will Expensive Taste ever release? @odessie 2 new songs coming to ITUNES really soon. 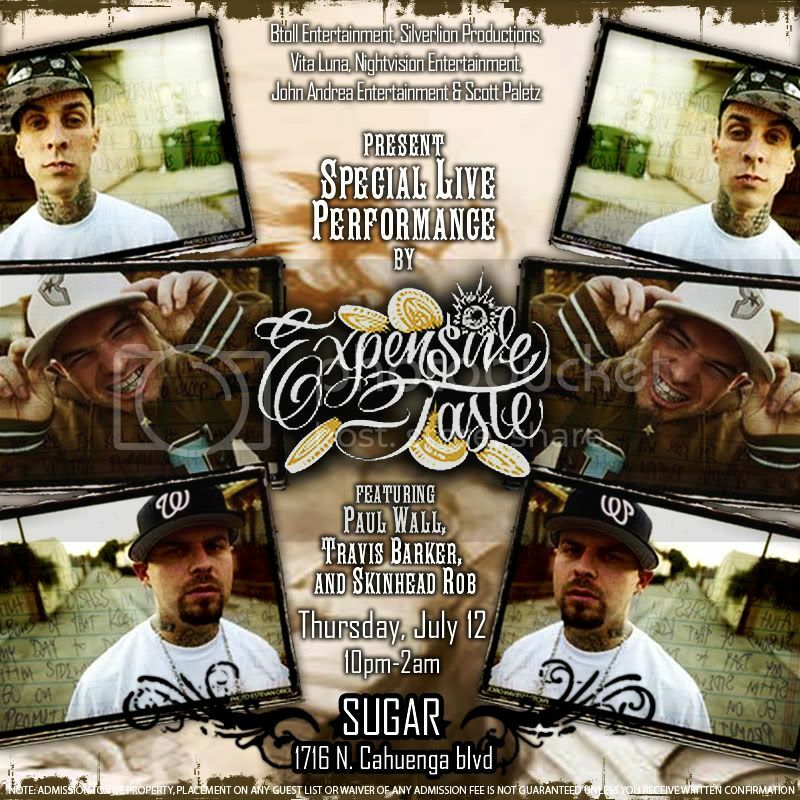 Expensive Taste will play tomorrow (12th July) at Sugar in Los Angeles. Click here to view the flyer. 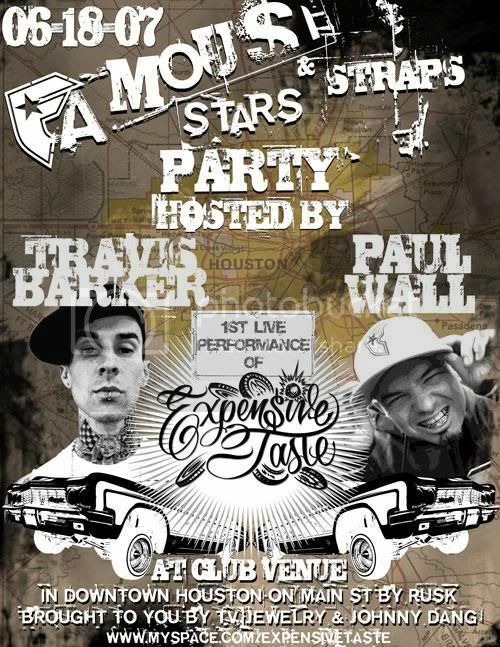 We gonna tear it up in H-Town. Click here to download the New Mixtape by Expensive Taste. Click here to read an interview with DJ Skee about Expensive Taste and much more. It's born the Expensive Taste merchandising web site: www.expensivetastemerch.com. You can also listen to their first two songs: "Slidin On That Oil" feat. Unique and "You Know Me" feat. Bun-B. Click here to download them.